Launch video. 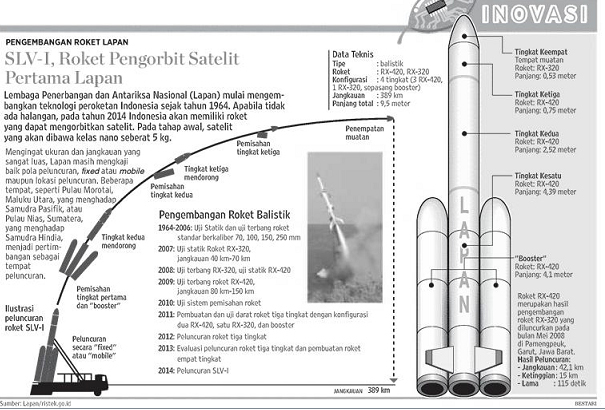 If I understood the translation correctly, the RX-1220 was launched on 4 December and flight 8 of RX-450 on 7 December. "RX 450 is in the process of preparation of the launch of the EIGHTH test flight in Garut, West Java, Thursday (07/12)"
"The head of the Program's launch of the rocket, Dr. Nice h. Jihat explains, the program RX 1220 is the forerunner of the Rockets R-HAN122 Monday b. Whereas RX 450 test flight was the consummation of technology from previous 450 RX test flight which took place in 2015 and 2016." RX-450 launch on 16 December 2016. Rhan-450 sky skated well in Garut. EIGHT successful test flying rocket with a diameter of 450 mm rocket launch station in the Hall Test Technology and space and atmospheric Pameungpeuk, Garut, West Java. Test flight took place on Friday (28/12) 2018, preparations began at 05.30 BST. The test event was opened by Deputy aviation technology and space EIGHT, Dr. Rika Andiarti followed by Kabalitbang the Ministry of Defense (Kemenhan), and Dirtekbang PT. Dahana."